Broken machinery, data breaches, burglary, fires and work injuries are just some of the disasters that can hit a business. On top of having other negative consequences, these disasters can be very costly to recover from. Here are just a few ways in which you can protect your company financially from disasters. The most obvious way to protect your business financially is to take out insurance. There are many different types of business insurance that can protect you from various different disasters. For example, cyberinsurance can help to pay compensation for money lost as the result of a data breach, whilst business property insurance can protect against fires and burglary. There are business insurance packages out there that combine multiple schemes – these can save you money and be a lot easier to manage than having multiple schemes. You can also save money on insurance by taking various preventative measures (e.g. adding a burglary alarm and putting in anti-fire measures to bring down business property insurance) as well as upping your deductible (the amount of money you’re willing to pay out of your own pocket before making a claim). Another option could be to build up some emergency savings. These could be used to help pay for reparations or to simply pay off your insurance deductibles. There are high interest business savings accounts out there that can help you build up savings more quickly. Some of these may have a minimum balance, which means you always have to have a certain amount of money in there to get the interest rates, although this could encourage you to keep these savings topped up. 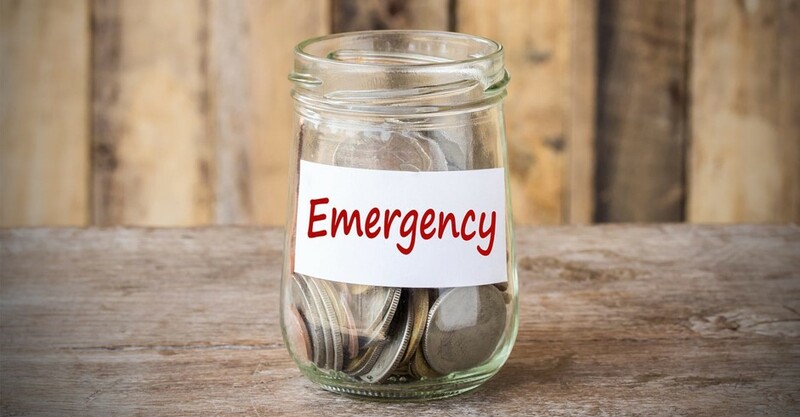 If you don’t feel you have the extra income or willpower to start an emergency savings account, another option could be to open an unsecured personal line of credit. A line of credit allows you access to a pot of money from which you can borrow from when you need it – you then pay back the money in installments afterwards. It’s an easy way of taking out loans, without the dangerous convenience of a credit card. Some companies have lines of credit on top of insurance and savings. Opening a line of credit isn’t easy and you generally must have a high credit score. It could also be worth considering your business structure. Setting yourself up as a limited company could be a good precaution against serious disasters – any debts you accumulate will be purely the company’s debts and not personal debts. This means that if a debt collection company comes to seize assets, they can’t touch your personal belongings and can only touch your company possessions.